The first round of the three test series falls in New Zealand’s favour after a dominant performance from the All Blacks pack allows them to control the game and finish comfortable winners. Join us as we analyse the key areas of a game that portrayed rugby at its finest. The Lions have been building well over the last few weeks, but despite Warren Gatland commenting that there is little difference between New Zealand’s Super Rugby sides and the All Blacks, this fixture was certainly a step up from the level they have been presented with to date. If the challenge facing the Lions was not monumental to begin with, the choice of Eden Park as the venue for this first test gave the All Blacks a mental edge; they have not lost here since 1994. Indeed they have not lost a game on home soil since a defeat to South Africa in the September of 2009. When the teams were announced going into the fixture, it was clear Warren Gatland wanted to score tries; Liam Williams, Anthony Watson and Elliot Daly made up the back three. There were also some strong selections in the forwards: Sean O’Brien’s good performances over recent weeks was rewarded with a starting place on the open side; Peter O’Mahony would captain the side from the blindside, leaving Sam Warburton as the first tour captain not to start the first test since England's Doug Prentice missed out in 1930. New Zealand on the other hand would be boosted by the return of Kieran Read from a thumb injury. Alongside him, Sam Cane kept his place and Ryan Crotty returned to the centre after recovering from a rib injury. The big talking point however was the inclusion of Rieko Ioane on the wing in place of the indefatigable Julian Savea. Given his performance over the Lions while playing for the Blues, there would be great hope that the 20 year old could continue in the same vein wearing the black. Across the field, people discussed the key match ups; Conor Murray against Aaron Smith, Ben Te’o against Sonny Bill Williams, Owen Farrell against Beauden Barrett. 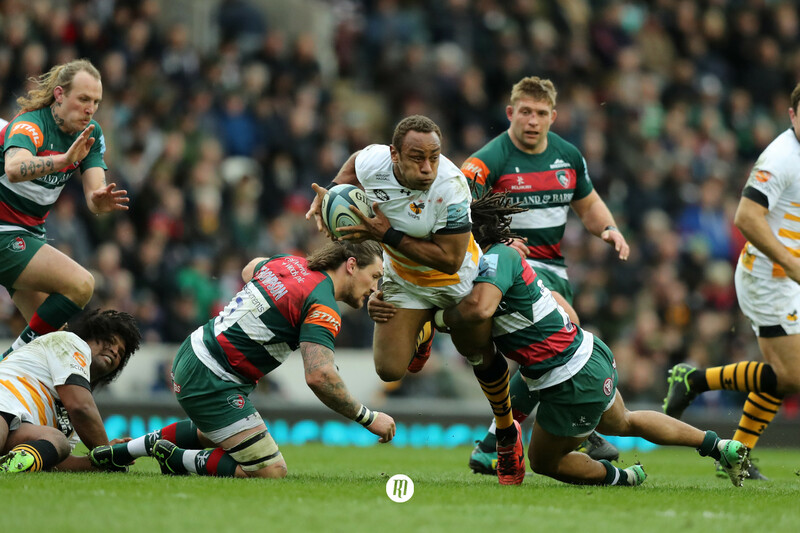 Indeed, the focus on the match up between the two fly-halves was centred around their goal-kicking abilities, with Farrell considered to have the upper hand. In the end, Barrett was consummate, and despite missing a conversion, Farrell had little chance to shoot for goal, such was the dominance the All Blacks had on territory. Beyond the individual match-ups however, the key areas in which the Lions would be looking to dominate would be the set-piece, and their physicality and intensity in the contact area and the breakdown. If they could get the ascendancy upfront, they could control the game and use Farrell’s boot to chip away at the scoreboard. As it was, any excitement around the competitiveness of the fixture was inexorably drained away by the All Black pack who ground the Lions into submission. Within 15 minutes, the giant hand of the New Zealand pack was squeezing the neck of the game in its fingers. 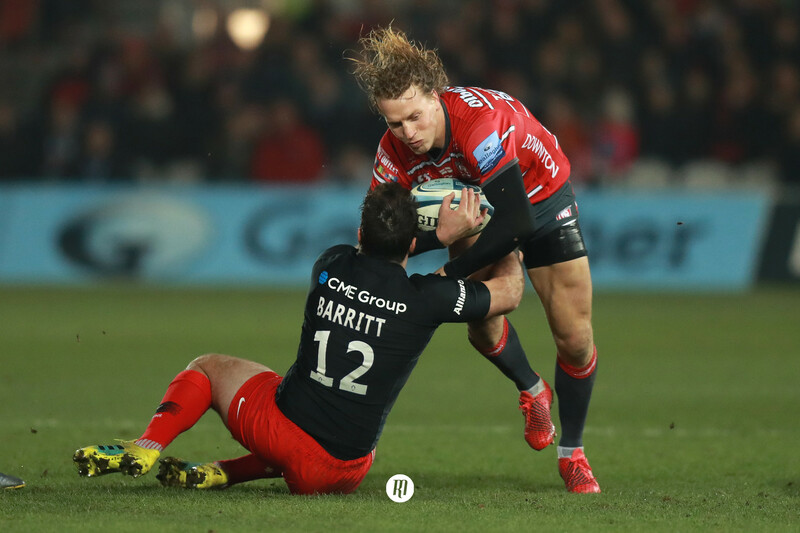 The Lions started well though, with Daly appearing to dot down in the left hand corner after a superb break from Jonathan Davies. Jaco Peyper went upstairs and the resulting footage showed Daly had failed to ground the ball at all. In spite of their exciting opening, the Lions could not wrestle control of the opening 10 minutes of the game, and it became clear early on how the All Blacks had set out to play; high tempo, tight rugby, offloading to move the ball from the point of contact and rucking quickly and efficiently in order to keep the momentum up. The Lions line speed in defence was redundant against such a direct and focussed assault. Tactically this was a masterstroke. With the promise of rain, playing a wide expansive game could be the difference between victory and defeat, and in playing a high tempo game in the narrow channels, they not only nullified the Lions’ defence, but kept the momentum of the game in their favour by ensuring it was played deep inside the Lions' half. No champagne rugby; just a clinical winning strategy. On the other hand, the Lions were unable to build any momentum with their own ball. Having commented in previous fixtures that the Lions looked at their most dangerous when playing with a high tempo in the narrow channels, it was quite something to find that New Zealand were in many respects out playing the Lions at the game that had worked so well for them. Instead, the Lions maintained a reasonably slow tempo in attack, focussing on dominating the contact area and the ruck before kicking for territory. As it was, they often failed to win the contact, and the quality of rucking from the All Blacks meant that turnovers remained a real nuisance. Add to this the quality of the New Zealand back three under the high ball (the inclusion of Israel Dagg on the wing a pointer to the expectation of this tactic from the Lions) as well as a strong performance from Beauden Barrett in this area, and the Lions were unable to build a solid platform from which to work from. This high ball tactic is sound, and has been proven so by Murray and Sexton under Joe Schmidt for years; put up the high ball to bring the winger into play, and once the ball is retained, pump the ball down into the vacated area. Play the game in their half. Except it doesn’t work like that when the opposition outside backs are able to field the ball so well; you just give away possession, and if there is a team to whom you shouldn’t gift possession, it’s the All Blacks. It was clear early on then that the Lions had lost the battle of the game plans. By the 15 minute mark, it was clear that New Zealand were in the ascendancy, led by the towering figure of Brodie Retallick. Their high tempo, narrow game plan was earning penalties from the a Lions’ defence that failed to get back onside, and it was from one of these penalties on the left hand side of the field that Aaron Smith decided to go quickly; in an instant, the ball had passed through the hands wide right, and after a brilliant pick up from a low pass, Codie Taylor dived over in the right hand corner for the opening score. Barrett converted and the All Blacks led 10 points to nil. After half an hour and an exchange of penalties, the score was sat at 13-3, and still New Zealand had control of the game. 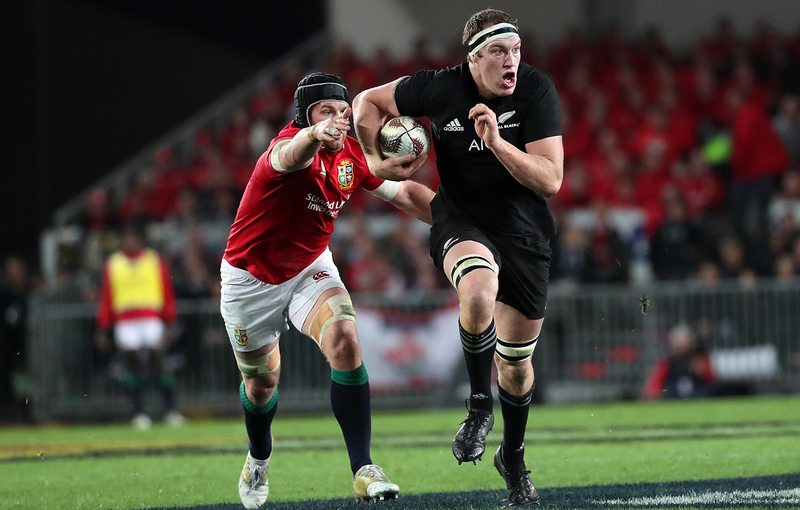 Equally, and with little success, the Lions were persisting with their high ball game plan, simply giving away the ball and allowing the All Blacks the chance to come back at them again. However, in a moment, everything would change. Having fielded a high ball, the All Blacks pumped the ball down into the bottom right corner where it was picked up by Anthony Watson. He popped the ball inside to Liam Williams, who with a sidestep reminiscent of the great Phil Bennett during ‘that try’ completely took Kieran Read out of the game. Running sideways in his 22, hearts were in mouths; a mistake would be costly. But then, he broke through, cutting up clear grass in front of him. He slowed a little, looking around for support. A little shimmy, but he can’t beat the man. Doesn’t matter, he pops to Jonathan Davies, great support. Davies knows he has the speed of Daly to his left and puts in the early pass. Daly sets off. He slows momentarily and hints to the defender that he is going to come inside, but a quick step and he pushes back to the outside. Over the 22. Pin-point pass back inside to Jonathan Davies. He steps inside to out himself, and then back inside but can’t avoid the tackle. Doesn’t matter, he pops to Sean O’Brien, who having run the entire length of the field has little more to do than flop over the line, Aaron Cruden supplying token resistance. End to end, and all of a sudden, there was a belief that this game wouldn’t play out the way the first half an hour had been suggesting. Moreover, Warren Gatland had confounded any critics of his back three selections. Despite Owen Farrell’s uncharacteristic miss for the conversion, the Lions had clawed their way back into the game, and the teams went in at half time with the score at 13 points to 8. The closeness of the scoreline belies the nature of the half though, which as we have shown had been remarkably in New Zealand’s favour. The statistics confirm this: 57% possession and 59% territory for the All Blacks. 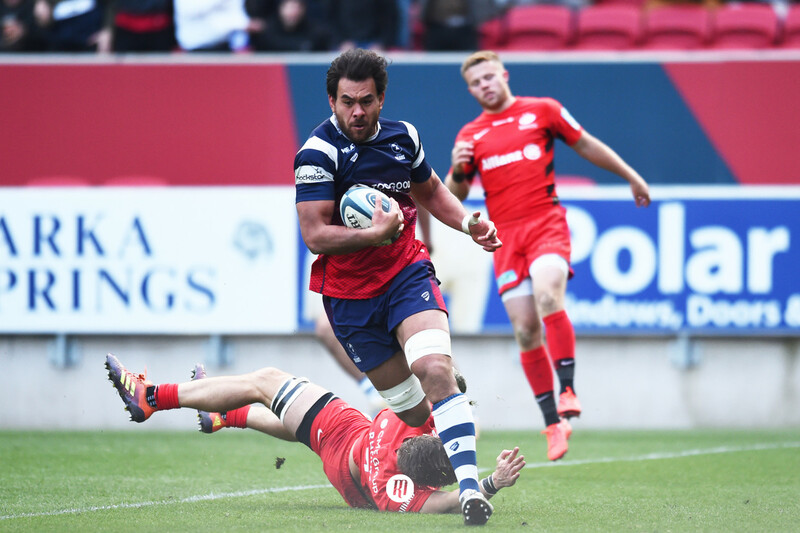 The second half, like the first, began in the Lions’ favour. Another end to end effort petered out in the 22, and the first ten minutes of the half went back and forth between the teams. The All Blacks appeared to have lost some of their emphatic intensity in these opening stages and it felt in these moments that if the Lions could grab hold of the game, they might just be able to put themselves into the history books. They had their chances; a line out on the All Black five metre line was turned over; Anthony Watson had a great charge through the defence but his final pass was thrown forward. And it was in these moments that the importance of converting your chances became blindingly prevalent; at the first opportunity in the second half, Rieko Ioane got over the white line to score for New Zealand. The scrum was one of the areas that the Lions were expected to dominate, and throughout the game, the teams were reasonably well balanced, but in the 54th minute, the All Blacks turned the screw, demolishing the Lions’ scrum. Kieran Read, belying only four games in seven months, proved that class is permanent with an expertly executed pop up as he picked up the ball from the disentangling scrum and found Aaron Smith. From there, the Lions' defence was working inwards to match the numbers. Déjà vu. Rieko Ioane scored virtually the same try he had scored while playing for the Blues against the Lions. At 20 points to 8, it was going to take something special for the Lions to climb back into the game. As it was, they failed to grasp the opportunities that were presented to them. Had they done so, we certainly could have been looking at a Lions victory. New Zealand had failed to impose themselves upon the second half as they had the first, despite having scored two tries, though it was their work in the tight again that sealed this game for them, but not in the same way in which they bossed the first half. The work of the All Blacks’ forwards in the first half revolved around their ability to ruck with few numbers, ensuring they always had receivers available, and their ability to win in the contact area, getting over the gain line. This dominance in physicality continued into the second half, and was apparent in their ability to disrupt the Lions breakdown and dominate the tackle, often forcing the Lions back, and ensuring little gain line success. Again with such little platform to work from, the Lions were stuttering forwards. Further to this however, they compounded their progress with unforced errors, and at times it was clear that the age old enemy of the Lions had reared its ugly head: togetherness. When a team who have been playing together for only a short period goes up against one with the continuity and success of the All Blacks, luck needs to be on your side. 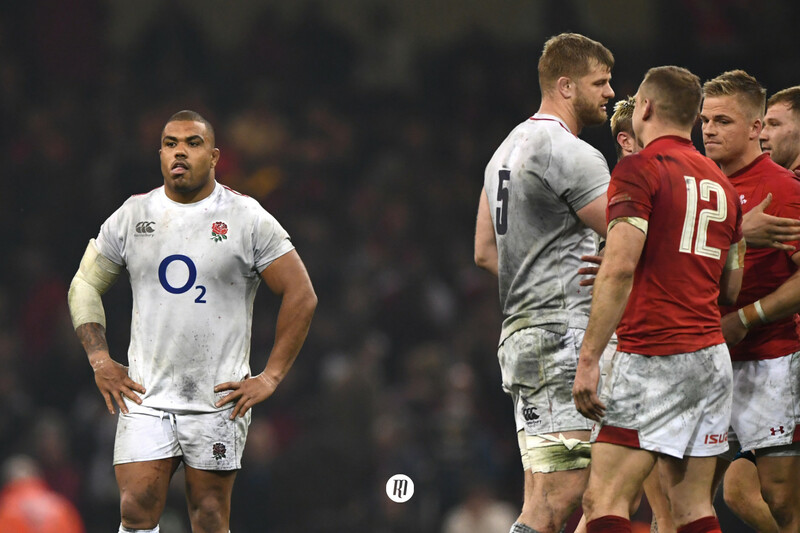 When Jonny Sexton failed to pop the ball to Owen Farrell just shy of the 70th minute, it appeared one had misread the other. The ball went to floor and the All Blacks collected and cleared. To add insult to injury, the ball passed through Liam Williams hands as he went to field the ball, and in one of those frustrating moments where the arbitrary bounce of a rugby ball is anything but, it lifted itself up from the floor directly into the hands of the marauding Rieko Ioane. His pace took him past Elliott Daly and away for a score that put the game beyond doubt. The final ten minutes of the game were abject for fans of the Lions, though they were able to finish the game on a high note, with the expert sniping of Rhys Webb around the fringes earning a try. Given the inefficiency of the high ball game plan from Conor Murray, it is a surprise that Rhys Webb didn’t enter the fray sooner. Indeed if he had, perhaps the Lions could have got onto the front foot and built a better platform going forward. The final score of 30 points to 15 certainly highlights the ascendancy of the All Blacks pack in this fixture and their overall control of the game, but the Lions were never truly left behind, and with only minor tweaks we could see them picking up a victory in Wellington for the second test.